The monsoon season has bought with it the onset of dengue and chikungunya that puts the health of everyone- children and elders, in particular at risk. Low platelets can produce haemorrhagic complications associated with Dengue fever. The fever is caused by a mosquito bite. The Mosquito acts as a carrier of the Dengue Virus. The virus affects platelet production. The virus destroys thrombopoiesis (body’s capacity to produce new platelets). Dengue fever is also known as breakbone fever. It is an infectious tropical disease caused by the dengue virus. 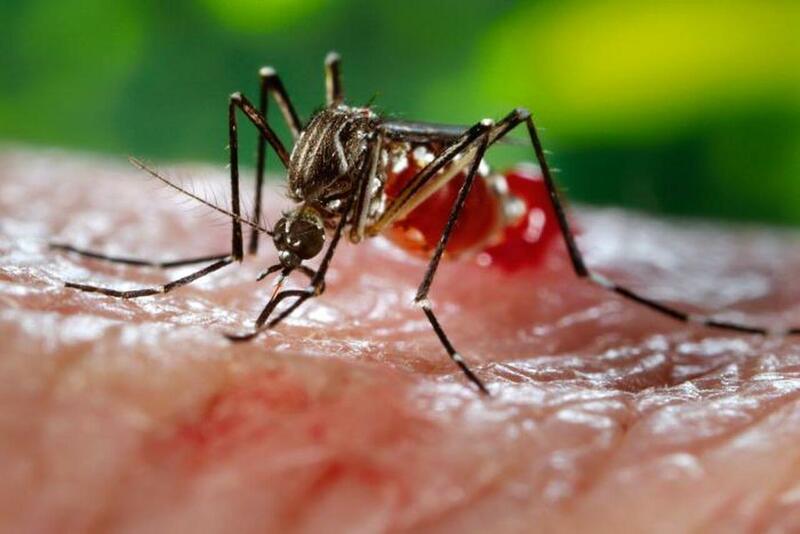 Less than 5% develop the life-threatening dengue hemorrhagic fever and dengue shock syndrome resulting in bleeding, low levels of blood platelets and bleeding complications. Treatment of acute dengue is supportive. The patient needs adequate hydration. The World Health Organization’s 2009 classification divides dengue fever into two groups: uncomplicated and severe. The Severe type may require platelet or whole blood transfusion. Platelets or thrombocytes derived its name from clot cell Platelets are one of the components of the blood along with white and red blood cells. Normally platelets are produced in bone marrow. They are fragments of the bigger cells called megakaryocyte. Megakaryocyte and platelet production is regulated by thrombopoietin, a hormone usually produced by the liver and kidneys. Each megakaryocyte produces between 5,000 and 10,000 platelets. Two-thirds of the platelets are circulating platelets and the other one third is typically stored (sequestered) in the spleen. The lifetime of the platelets is generally 7 to 10 days. They are removed from the blood circulation by Spleen. The number of platelets in the blood is referred to as the platelet count and is normally between 150,000 to 450,000 per ml. Platelet counts less than 150,000 are termed thrombocytopenia. Platelet counts greater tthan450,000 is called thrombocytosis. Low Platelets (Thrombocytopenia) produce bleeding complications in vital organs which can be fatal. Dengue and other viral fevers are not the only cause of Low Platelets (Thrombocytopania). Low Platelet level can occur in various clinical conditions and disease states. These require appropriate investigation and management. Platelets play an important role in clotting and bleeding. Low platelets can produce Purpura (from Latin: purpura, meaning “purple”) is the appearance of red or purple discolourations on the skin that do not blanch on applying pressure. They are caused by bleeding underneath the skin. Purpura measure 0.3–1 cm whereas petechiae measure less than 3 mm, and ecchymoses greater than 1 cm. Elevated platelets (Thrombocytosis) can also produce medical complications. Clots occur in the vascular tree and produce various vital organ’s dysfunction. These situations require the use of antiplatelet drugs, commonly called blood thinners. Blood clotting is a complex process involving clotting factors, fibrin and platelets. Blood also contains substances that prevent blood clots. These substances are called anticoagulants. It is the balance of these substances in the blood that allows blood to clot as needed and only when needed. Clotting factors and anticoagulants are made in the liver. The function of platelets is very important in the clotting system. They circulate in the blood and gets activated during blood vessel injuries. Platelets are discoid, anucleate cells with a large number of secretory granules. Complicated chemical pathways develop a fibrin-platelet plug that arrests bleeding. Chemicals are released from the injured blood vessels. Activated platelets become sticky and adhere to one another and to the blood vessel wall and prevent bleeding. Poor platelet function despite normal platelet count occurs in Thrombasthenia. Low platelet count in severe cases may result in spontaneous bleeding or may cause a delay in the normal process of clotting. High platelets can result in such events as a stroke, myocardial infarction, pulmonary embolism or DVT (Deep Vein Thrombosis). The platelet function is not restricted to clotting. It has a great role in wound healing. Platelets release a multitude of growth factors including platelet-derived growth factor (PDGF), a potent chemotactic agent, and TGF beta, which stimulates the deposition of extracellular matrix. Both of these growth factors have been shown to play a significant role in the repair and regeneration of connective tissues. Other healing-associated growth factors produced by platelets include basic fibroblast growth factor, insulin-like growth factor 1, platelet-derived epidermal growth factor, and vascular endothelial growth factor. Local application of these factors is used in wound healing. An antiplatelet drug (antiaggregant) is a member of a class of pharmaceuticals that decrease platelet aggregation and inhibit thrombus formation by reversible or Irreversible cyclooxygenase inhibition. They are effective in the arterial and venous circulation. They are widely used in the primary and secondary prevention of thrombotic cerebrovascular or cardiovascular disease to prevent abnormal clotting. Antiplatelet drugs alter the platelet activation at the site of vascular damage crucial to the development of arterial thrombosis. Asprin and Clopidogrel are universally used. These drugs need to be stopped a week prior to any elective surgery.